In July, our pace of travel slowed down considerably and we spent more time staying put in individual cities! We started off our month in Bodrum and Marmaris, the Mediterranean coastal towns of Turkey. We experienced a small taste of Turkish culture, but for the most part, the cities were very tourist-y and vacation-y. Our main adventures were an all-day boat tour in Bodrum, and then a 2-day tour to the ruins of Ephesus and Pammakule. The 38 degree weather in-land was waaaay too hot, especially when you’re walking through stone ruins with no shade. 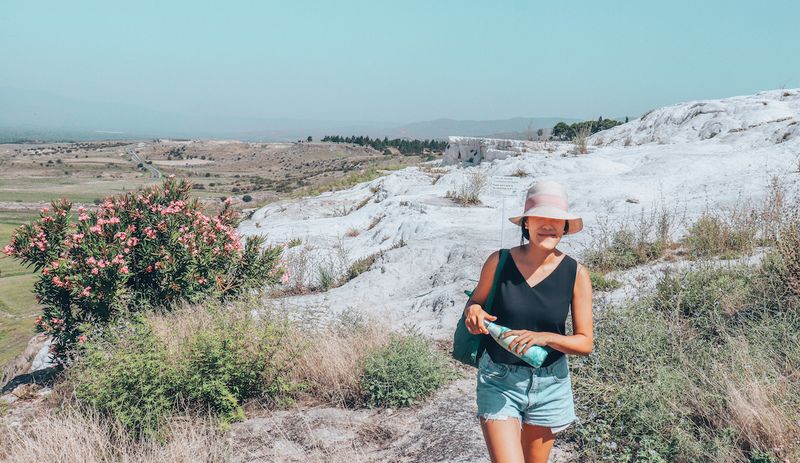 After this experience, we have officially had enough of seeing Roman ruins — no more! We debated travelling more in Turkey, but in the end, we decided to fly halfway across Europe to Ibiza, the island mecca of dance music. The cheapest flight to Ibiza departed out of Rhodes, Greece. So, from Turkey, we hopped on a ferry back to Greece. 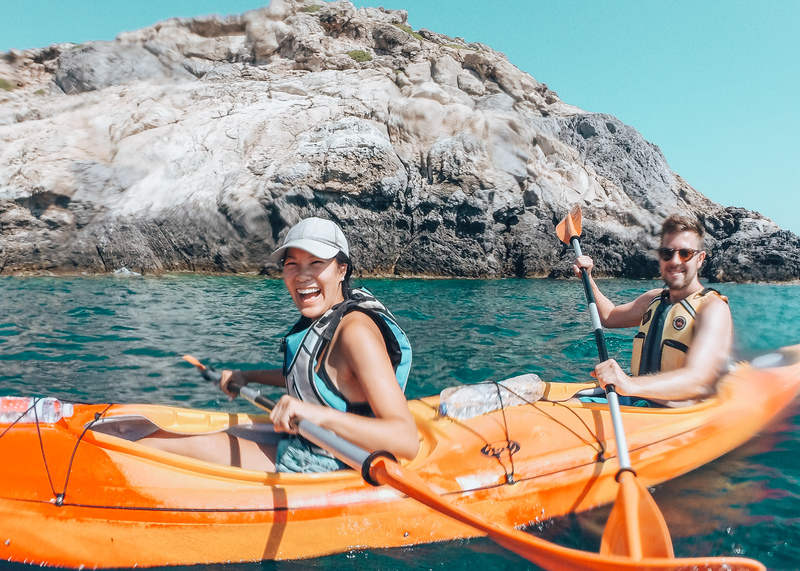 We didn’t spend much time in Rhodes, but we did do a half-day kayaking tour arranged through Modern Mix Travel in collaboration with the Greek tour company Trekking Hellas. 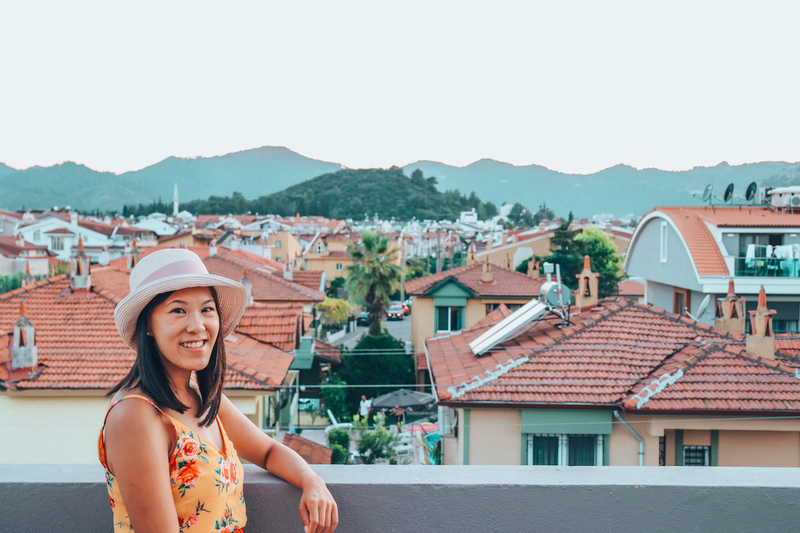 Marmaris, Turkey — I got a haircut! We arrived in Ibiza on July 10 — just in time to see veteran house music DJ Carl Cox at Pacha. The next day, Armin Van Buuren and Cosmic Gate (both we had seen multiple times before in Vancouver) were playing at Hi Ibiza. Ibiza is known to be an expensive island destination, but in high-season it was crazy expensive. 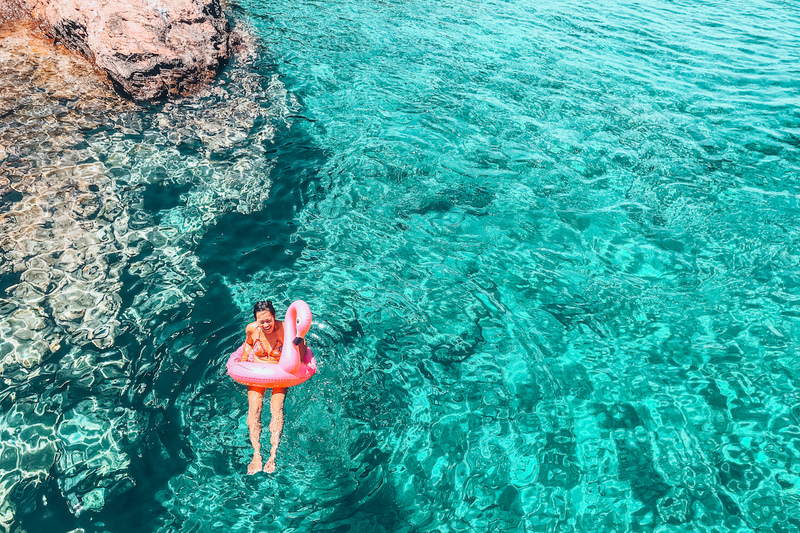 We had to pick the lesser of the evils when it came to finding a place to stay in Ibiza, choosing between: no aircon, no private bathrooms, no wifi, or (Steve chimed in) no money left. We went with no wifi. The place we booked with had a kitchenette, so we ate a lot of DIY meals: grocery store smoothies, yogurt with granola, bananas, bread with hummus, cheese, and salami. Ibiza was a blast. Our original plan was to stay for three nights, but we enjoyed ourselves so much we decided to stay a week longer as another DJ we wanted to see — Eric Prydz — was playing the following week. We negotiated with our hotel to give us a deal. We were good, responsible guests and we wanted to stay for a total of nine nights! The hotel’s listed price was 260 / night on Expedia, but, asking for their “best price” they gave us our room for 94 / night for the rest of our time there. 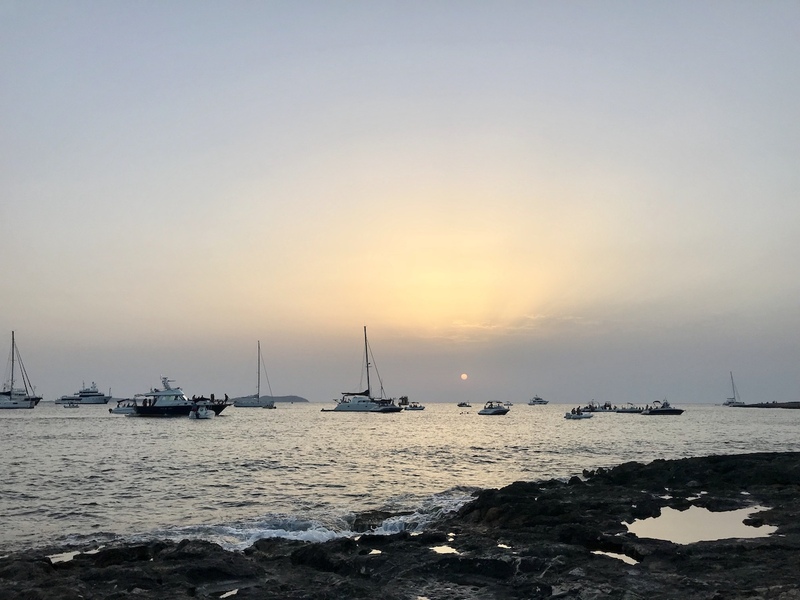 This was still much, much, much more that we had been paying on the rest of our travels — but to be in Ibiza, during peak season, to see so many DJs back to back, made it worth it for us. Our Santorini photos arrived while we were in Ibiza, so even with a bad wifi connection we managed to look through them and pick a few favourites. After Ibiza, we flew into London and stayed with Steve’s cousin. We picked an amazing time to be in London because we had SO MANY friends and family there. We saw TWENTY-FIVE (!!) members of our friends and family in London. The next bit will be a boring name-drop for anyone who doesn’t personally know us — feel free to skip reading — but because seeing family and friends played such a big role during our time in London, I wanted to list out everyone who made the time and effort to see us during our two week stay in London. In London, we stayed with Steve’s cousin Adam who had space at his place because his wife and kids were gone for the summer. We had dinner with Adam’s wife and their three kids W, S and A before they left on their vacation to Japan. We stayed with my aunt and uncle for two nights in Kent, and took a daytrip to Hastings Seaside. Steve baked another one of his famous apple pies from scratch for my aunt and uncle. We spent a day up in Stoke on Trent, visiting my cousin Roxanna, her husband, and their new baby T. We had a lovely walk through the outdoor Trentham Shopping Village, and ate a delicious pie lunch (with mint peas and mash) at Pieminister. My Auntie 19 and cousin Clement (who just finished two years of law school in the UK!) 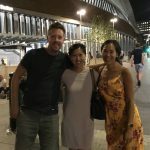 were in London for one night after their Mediterranean cruise before flying back to Vancouver, so we had a late night dinner with them in Chinatown. 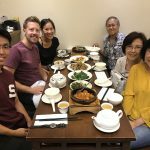 Their Ryanair flight was delayed by six hours (because of the strike) but we still managed to have dinner with them at 11pm! Steve’s sister Sara and her boyfriend Connor were also on vacation in London / Ireland, so we caught up over several meals with them. 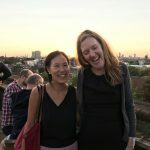 I finally met Sara’s old flatmate Nikki — they lived together in London seven years ago. My cousin Edmund, who now lives in Cardiff as a pilot, happened to be at a dinner party in London, so we had brunch with him, and Sara and Connor again, the next morning. As always, I met up for a girly catchup with my friend Lisa from Vancouver, who now lives in London. My friend Annabelle, also from Vancouver who is now a teacher in London, with whom I’ve kept in touch with over social media, made time to see us over coffee in the cool Angel neighbourhood. 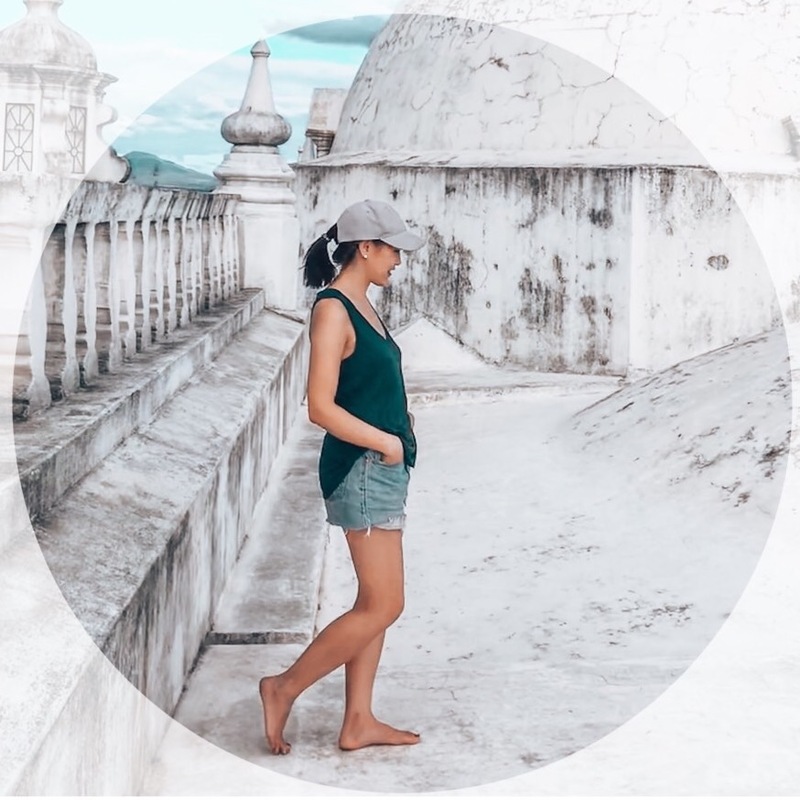 We both love sharing travel stories and travel tips. My friend Anne, from Belgium, who I met over ten years ago on a school exchange now lives in London for work. Finally, the biggest surprise was that one of my good friends from back home, Farrah, was on vacation in London/Ireland/Scotland with her fiancé(!!) Neil. She had told me her travel dates a few months ago, but I really didn’t think I’d still be in London anymore so we wrote off seeing each other. 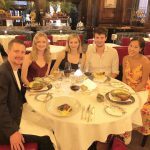 But, as timing would have it, we stayed in London for two weeks — much longer than expected — and I was able to have a traditional British dinner with her and her boyfriend Neil, as well as our mutual friend Alex and her husband James! Timing worked out beautifully, I couldn’t believe we knew so many people in, or travelling through, London. No wonder we had to stay for two weeks! Late night Chinese dinner in Chinatown. 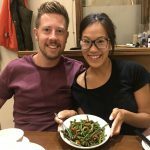 Obsessed with Chinese Green Beans — and everyone in my family knows it! With Steve’s sister Sara, her boyfriend Connor, and my cousin Ed. Traditional British dinner at Simpsons on the Strand. My friend Anne from Belgium who I met on my Vienna school exchange over ten years ago! 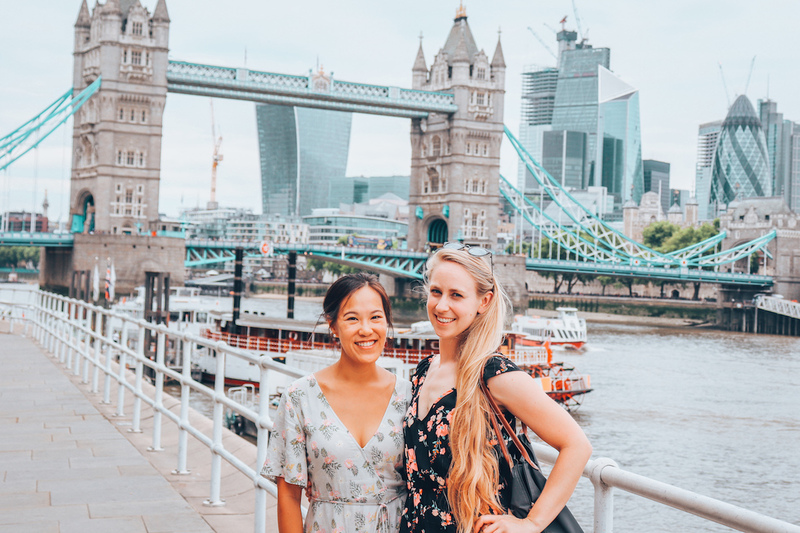 During the day, Steve and I spent a lot of time just wandering around London, checking out coffee shops, local boutiques, and exploring the city on foot. 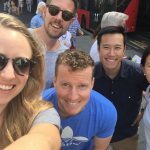 From an activities perspective, I think I’m finding a niche in my travel blog on collaborating with food tours and cooking classes. 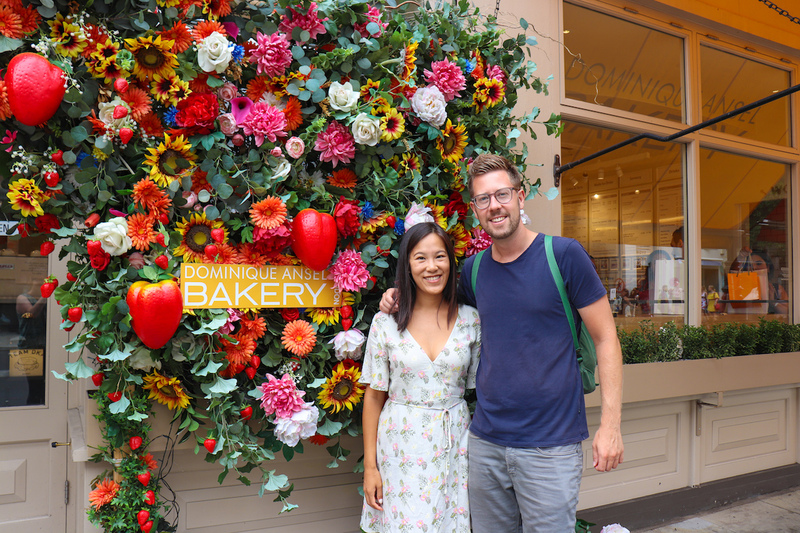 We did a Sweet Treats walking tour through the Chelsea neighbourhood, and also a Vegan Street Food tour in Camden. 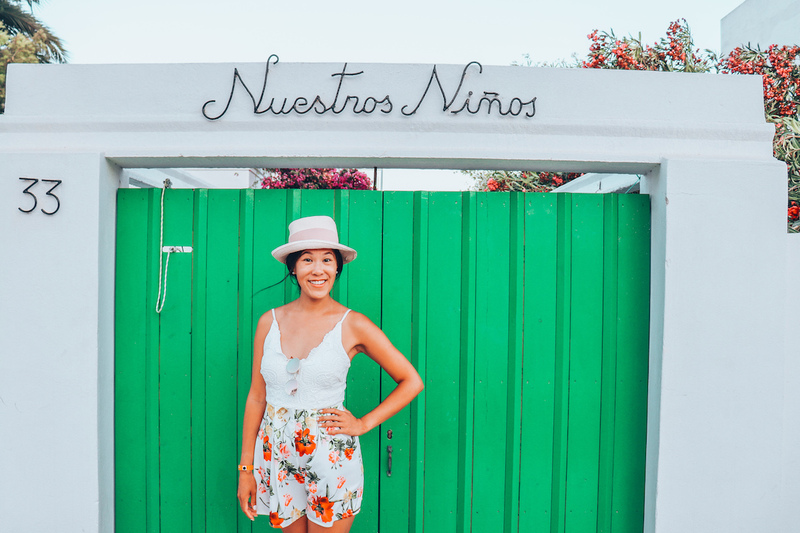 Thank you so much for keeping up with our travels reading our July reflections on Modern Mix Travel! Next destinations: Sweden (Stockholm), Vietnam and Sri Lanka! Awesome Blog !! I am impressed by your blog, and you have shared here your great experience with turkey, Greece, Ibiza, and London, and your picture was terrific. Wow, what a fantastic destination wedding. I like your picture.